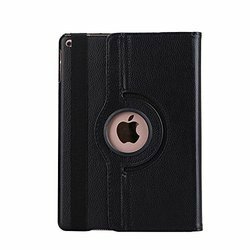 NV Store - Retailer of 360 degree rotating pu leather smart magnetic stand flip case cover for apple new ipad 2017, 360 degree rotating pu leather smart magnetic stand flip case cover for apple ipad air 2 case flip c & 360 degree rotating folio case cover stand for ipad 2/3/4 (black) in Ahmedabad, Gujarat. 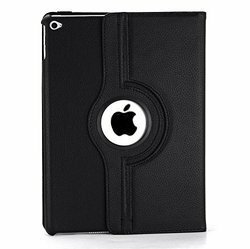 360 degree rotating case with exterior PU leather and soft microfiber lining interior to prevent scratches on the screen display For Apple New iPad 2017 9.7"
Material: High Quality PU leather360 degrees rotating swivel allows the Apple New iPad 2017 9.7" to rotate both vertically and horizontally while in the case. Conveient stand positions for watching movie or typing. 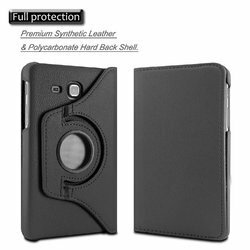 The case has a elstic strap to secure closure of the front cover. Built in small magnet to provide the smart rotating cover feature, close to sleep, open to wake. Auto wake up/sleep saves power consumption once the case is closed and secured by the elastic band. Easy installation, simply snap-on, and you are done in a couple of seconds. Conveient stand positions for watching movie or typing. 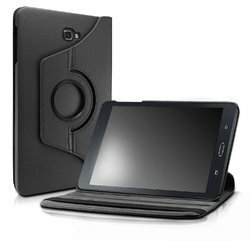 The case has a elstic strap to secure closure of the front cover..
360 Degree Rotating Universal Flip Flop PU Leather Case cover for Apple Ipad 2 3 4 Tablets. 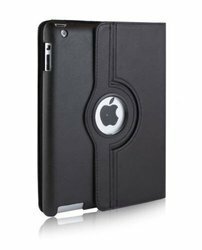 Protect your iPad 2/3/4 from scratches, bumps and other damages.